You can use this tool to merge multiple documents and rearrange the pages. PDF Studio also serves as a lightweight PDF reader. You can use it to open, view, and print your PDF documents. 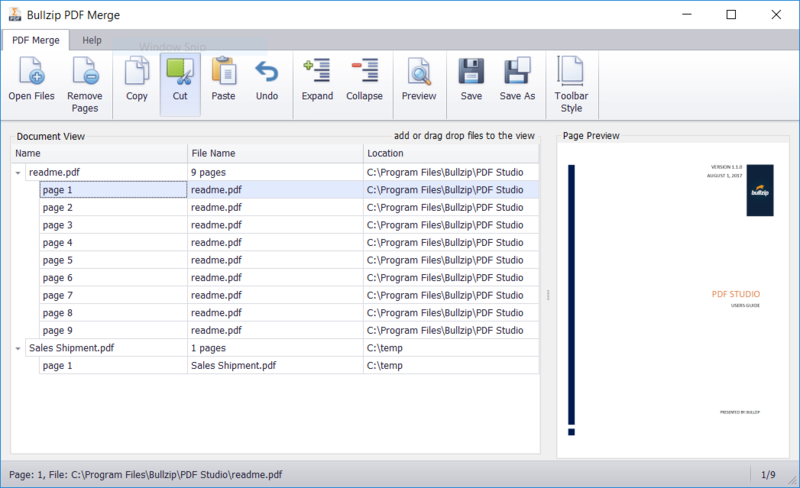 Download the latest stable PDF Studio 1.1.0.168 (76.4 MB). If you no longer want the PDF Studio on your computer, you can uninstall it using the "Add or Remove Features" in your Windows control panel. 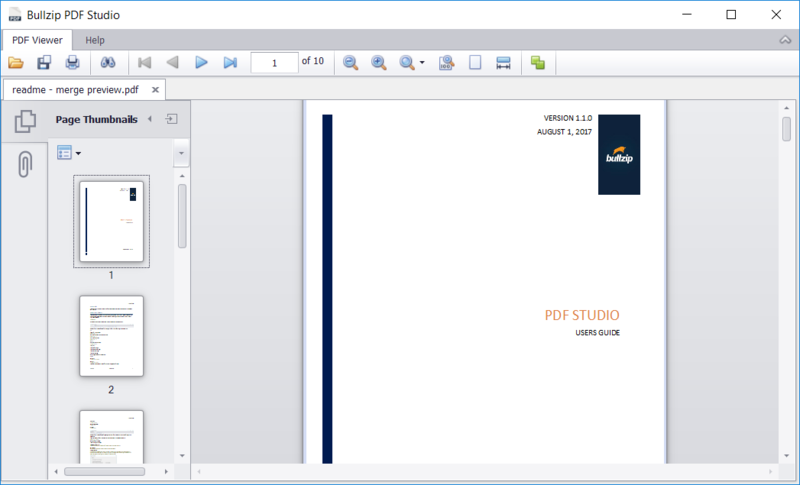 PDF Studio is free for non-commercial use and commercial use up to 10 users. If you have more than 10 users in your organization or use it in process automation, you must contact us and buy a commercial license. You can download and read the documentation here. Zoom is optional and is a percent zoom of the document. A zoom percent of 100 will show the actual size of the document page. /print "C:\documents\file1.pdf" /copies 1 /printer "HP Officejet 6500 E710n" /sizing fit /orientation landscape /papersource "tray 2" /pages "1,4,7,10-15"